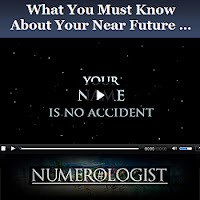 The Ancient First Name Letter Interpretations (Numerorlogy Lesson 39) | Law of Attraction Plus: The Secret revealed! The alphabet itself was inspired by pictorial representations that recorded elaborate stories. These full pictographs originally were abbreviated to form hieroglyphics with each symbol depicting a word. As more time elapsed the glyphs were further reduced to represent individual sounds and then the consonants and vowels that we know today. The modern alphabet that numerological systems are based on is derived from an earlier hieroglyphic system that is still used by Japanese and Chinese cultures. Each letter also symbolizes a number. This has remained unchanged, even though our speech patterns have evolved to make some sounds obsolete. A is the numerical equivalent of 1 and symbolizes confidence. When it's the first vowel in a name, the person tends to be bold. On the negative side, A can be critical of efforts of others. G is the numerical equivalent of 7 and represents mysticism and religious experiences. This letter is imaginative, creative, and helpful. When it is the first consonant in a name, the bearer will tend to be a loner. G's don't listen well to others. J is the numerical equivalent of 1 and represents our aspirations. This letter is truthful, benevolent and intelligent. When it is the first consonant in a name the bearer will possess an unyielding desire to not give up and will therefore find success - eventually. Negatively, J can be lazy and lack direction. K is the numerical equivalent of 2 and represents a person that goes to extremes. K people are strong willed and influential. Negatively, K can be dissatisfied with life and take their discontent out on others. V is the numerical equivalent of 4 and represents construction. It is an industrious letter which is tireless and efficient. However V people can also be ruthless.